The blood pressure is the product of heart rate, stroke volume, and peripheral resistance. There are two levels of blood pressure namely the systolic and the diastolic. Diastole is the measure of blood pressure when the heart is at rest i.e. not beating. 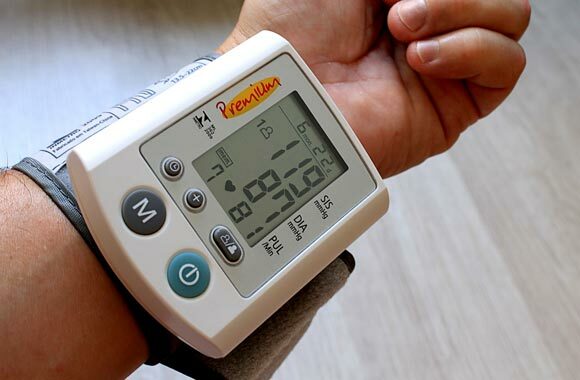 Normal blood pressure is 120/80 mm Hg. Blood pressure can be high or low depending on the pathology. If the sustained increase in blood pressure or arterial pressure occurs for a long time period it is called high blood pressure or hypertension. This is a serious condition. The elevated blood pressure can be harmful to our blood vessels and the heart. It is also called essential hypertension. About 90 to 95 percent of people have primary hypertension. This hypertension is of unknown origin so it is called essential or primary. Cardiac output is increased due to additional blood flow for extra adipose tissues. Sympathetic nerve activity in the kidney especially is increased in overweight patients. Angiotensin and aldosterone levels are increased in many obese people. These cause salt and water retention and volume overload. There is impairment of renal pressure natriuresis mechanism and kidney does not excrete adequate amount of salt and water. It is due to some causes such as renal artery stenosis or other heart-related. There are various causes of high blood pressure. Increase intake of salt: When a person uses increase amount of salt, it leads to increase extracellular volume by absorbing water from the tissues and increasing thirsts by which we drink more water and the result is an increase blood volume. This leads to increase in arterial pressure and therefore increased blood pressure. If blood pressure increase is mild, there will be no symptoms. In case of severely elevated BP headaches, nausea and vomiting occur. Morning headaches are the characteristics of severe hypertension. Lifestyle modification is required. Increase physical activity and weight loss is recommended. Diuretic or natriuretic drugs: These drugs decrease tubular reabsorption of salt and water. These block transport of sodium through the tubular wall. Vasodilator drugs: These drugs increase renal blood flow. Low blood pressure is called hypotension. Here systolic blood pressure is usually below 90 mm Hg and diastole is usually below 60 mm Hg. In low blood pressure, many signs and symptoms arise and these are breathlessness, chest pain, weak and rapid pulse, seizures, vomiting, headache, and fatigue. The treatment aims to normalize the blood pressure to a normal value. Certain medicines are helpful in restoring normal BP. Normal saline is also helpful.